Every man should have a skill and for Vincent S. Daggerhood, that skill was thieving. Quick with his hands, there was no loot he couldn’t plunder and no treasure chest he couldn’t escape with. 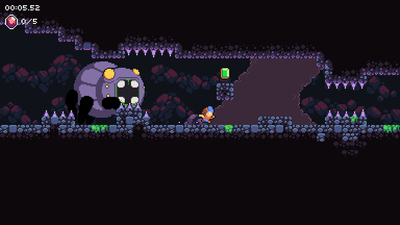 For Daggerhood, life was good, until come that fateful day he was finally caught and in the name of justice, to pay for his crimes, he was cast into the forsaken caverns. 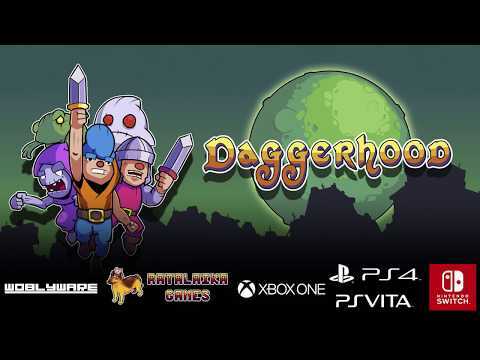 But this is not the end of Daggerhood’s story, for this is the beginning. 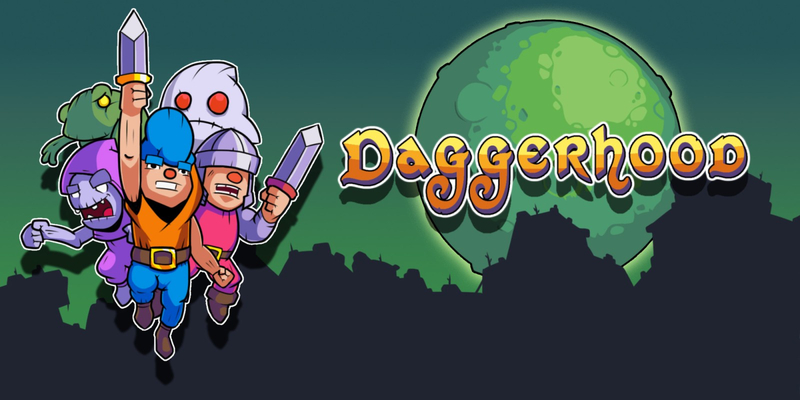 Filled with the desire for freedom and a craving for retribution, Daggerhood has set his sights on stealing the King’s gold and armed with a dagger he can throw and reclaim by teleporting to its current position, across 100 levels, he’s going to need your help! Will you answer his call? 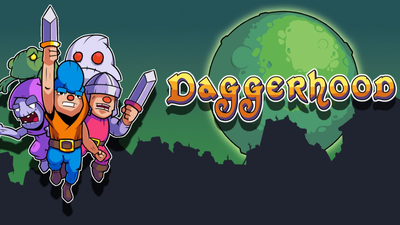 Daggerhood isn't a platformer built with everyone in mind. In fact, even a few die-hards may find it to be a little too difficult. 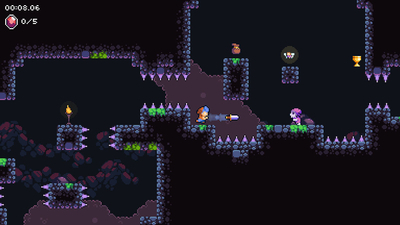 If you're looking for a platformer that's far-flung from the easier titles the genre is known for, it's not a bad place to start. It may be the only Nintendo Switch eShop title under $5 that not only gives you more bang for your buck but has an incredible amount of polish.